"What i've found with working with animals is that they give us so much. They give us love, companionship, loyalty and I feel that we can really learn from them"
How do you transition from work to home if you've dealt with a death, or beeing the bearer of bad news? My cats, budgies and chickens see Rebekah and she is lovely. I want to be a vet and when I told her she let me look at x-rays and help 'vet' my cat. 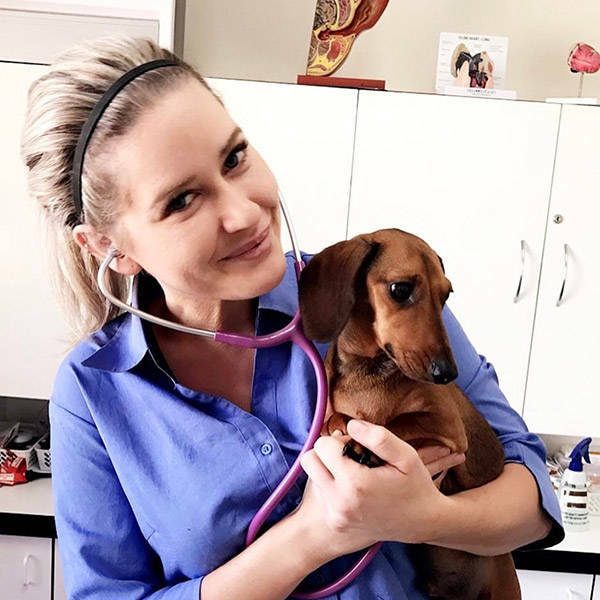 Really kind and deserves to be the new BONDI VET! What is your favourite surgery to perform? Dogs with behavioural problems are often surrendered to pounds and euthanased. Do you think our community needs more information about science based dog training, how to relate with dogs, and the importance of socialisation for puppies and older dogs? How would you make this available to disadvantaged individuals and communities? What is your favourite thing about being a vet and why? Do you know any vets with allergies to animal fur? How do carry their work comfortably?